You will be able to access and download a worksheet which will help you to calculate how much to contribute for child support. 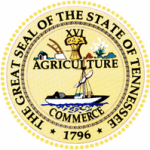 The worksheet follows the guidelines and rules as set by the department of human services in Tennessee. Using this formula you will be able to compute on your own the amount you will owe for child support or receive for the same. The below guidelines are what the calculator utilizes to arrive at a figure for your child support obligation. Step 2: Go to part II and enter the gross income for both parents and a guardian, if any. Adjust the gross income with parameters as shown in the worksheet to arrive at line 2. Step 3: Part III will automatically fill up once you are done with part II. For Part IV, enter all the child’s expenses in the fields as shown in the worksheet. This will automatically compute for the adjusted support obligation in line 11.